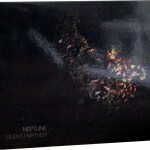 Following in a haphazard American tradition of home-made instruments and objects that are half-sculptures are Neptune, who have been in existence for about 17 years and have over two dozen releases to their credit, yet Silent Partner (NORTHERN SPY NS013) is the first thing I ever heard from this highly inventive combo. What they play is a curious percussion-heavy brand of discombobulated and disjunctive music, decorated with crazy electronic music and held together by strong and stern bass guitar riffs. Sometimes this is done in the service of bizarre songs which are replete with symbolic imagery, such as ‘Canine’ with its obsessive repetitions of “we dogs in cages” painting a bleak portrait of contemporary mankind’s plight, and the image of the wildman running through the forest in ‘Cash Mattress’ is no less alarming. Then you’ve got ‘Collection Plate’ which is a lengthy instrumental allowing them to demonstrate many aspects of their unearthly sound, with demented oscillators, half-functioning circuit-bending devices, choppy rhythms, and multiple percussion effects, all evidence of sentient life crawling slowly out of a huge junkyard, as if a metallic zombie arising from an automobile graveyard. Jason Sandford is the main man behind this distinctive Boston combo, arriving in this musical milieu from a background as a sculptor; he built the chimera instruments, which according to the photographs look like a cross between Keith Rowe’s tabletop guitar, the Simeon, and an industrial sewing machine. Compared to Partch who took an interest in conventional decorative aesthetics for the finished state of his assorted microtonal instruments, Sandford clearly favours a more rugged and rough functional approach to his work, and for his engines and devices all the guts are clearly on display with no attempt to pretty things up with a cowling, a leather case, or a polished surface. The players Pearson, Micka and Ebrahimi lay into their work with a perfect combination of enthused gusto and mysterious poise, and though there have been other lineups of Neptune it’s clear these fellows are highly comfortable and conversant with the ungainly beasts which they must wrestle on a daily basis. 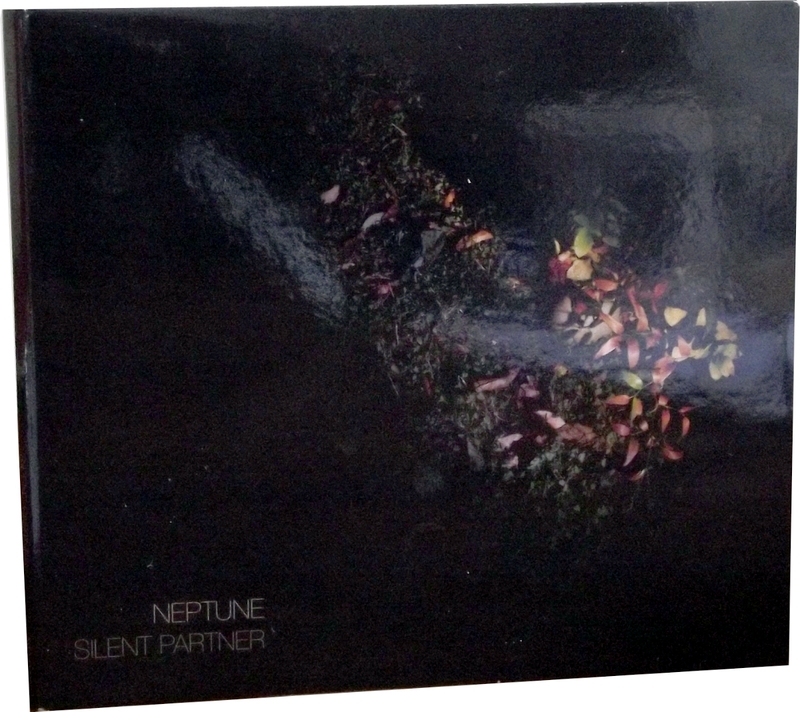 In short, if you want an unclassifiable combination of strange gamelan music, post-punk jerky rhythms, experimental electronics with odd dynamics, semi-pagan lyrics and minimal no wave keyboards, all played in real time on unique hand-crafted instruments, this is your next purchase. The Slovakian electronics duo Jamka first came our way with a blistering LP in 2008, and continue to operate the Urbsounds Collective label to showcase their work and that of like-minded noise-punk techno beasts of Eastern Europe. Very encouraging to see they’ve got a release on the high-class Belgian label Sub Rosa as part of that label’s New Series Framework. Pari Passu (SUB ROSA SR333) is eight tracks of new work fashioned using their very intuitive, primitive and enthusiastic approach to working with synths and samplers, and each track occupies a twilight zone between tabletop noise music and whatever species of blackened techno dance music is played in underground nightclubs at 5AM in the seediest part of a pitiless urban zone, for the entertainment of futuristic vacant-eyed outcasts. Jamka have dazzled us before with their speedy and off-kiltre rhythms, but what I like so far about Pari Passu is its general slowness, many tracks emerging as a turgid electronic dirge and stumbling out of the tarpits like a new-born sabretooth tiger with tusks made of lava and whose rear end happens to be that of a young woolly mammoth. The title’s meaning, helpfully translated on the back cover, is “with an equal step”, and although Monika Subrtova and Daniel Korda are totally in step with each other as musicians, successfully anticipating each other’s every thought and move, what emerges is something that you or I would struggle to engage with at a walking pace, let alone when wearing our dancing shoes. One personal favourite here is the six-minute ‘Sland’, a grisly excursion from one end of an oil can to the other, punctuated with a deliciously clunky and racketty metal-drum beat that barely passes muster as a backbeat. You may also enjoy ‘Zyren’ where the dense and thick rhythm tracks form a tasty counterpoint to the more subtle toplines, which veer from wispy atmospheres to the drones of soaring helicopters on the attack. ‘Dashla’ shows the duo have lost none of their élan when it comes to piling up renegade elements on the mixing desk of chaos until the situation is on the verge of teetering out of control, and there’s even some melodic piano patches and synth tones drifting through the final track ‘Elma’, but even with this attempt at a John Carpenter soundtrack the album’s overall caste of gloom and anxiety is not dissipated by one iota. As cover photo demonstrates, this is an album that can induce a howl of anguish while at the same time it delivers a punch as solidly as Monika’s fist. Surabhi (HYPNAGOGIA GO02) is a recent release by Merzbow which continues his ongoing animal welfare theme by concentrating on the plight of the hundreds of abandoned cows in Vrindavan. These hapless bovines are subject to disease and famine along with the danger of cattle rustlers intent on leading them to an illegal slaughterhouse, and the organisation Care For Cows (who provided the photos for this album) offer a range of ways for you to contribute financially to their cause, adopting a cow for life or just feeding it for one day, or undertaking a bull scholarship for $30. Is it me or is Merzbow getting more melodic and vaguely “kosmische” these days? The opening track ‘Vanamali and Shravan’ is a positive feast of layered electronic tones which, once you can hear your way through the stampede of digital hooves, is packed with one thousand beautiful melodies all exploding at once like fireworks of multiple colours. ‘Balaram’ is decidedly more subdued, and sumptuous glorpy Theremin-like lines shoot their way through an atmospheric pulsation zone along with the slightly more familiar bursts of Merzbow’s sandpapery rasps. ‘Yamuna Snan’ is even more complex, stereophonic explosions and ultra-processed digital water splashes all colliding in a glorious melange of unstoppable tidal-wave proportions. The merciless pounding rhythms and pulses which used to be one of Merzbow’s signature sounds has evolved into something much more ambiguous and benign, and results in music which is no less powerful but somehow more approachable and easier to listen to.